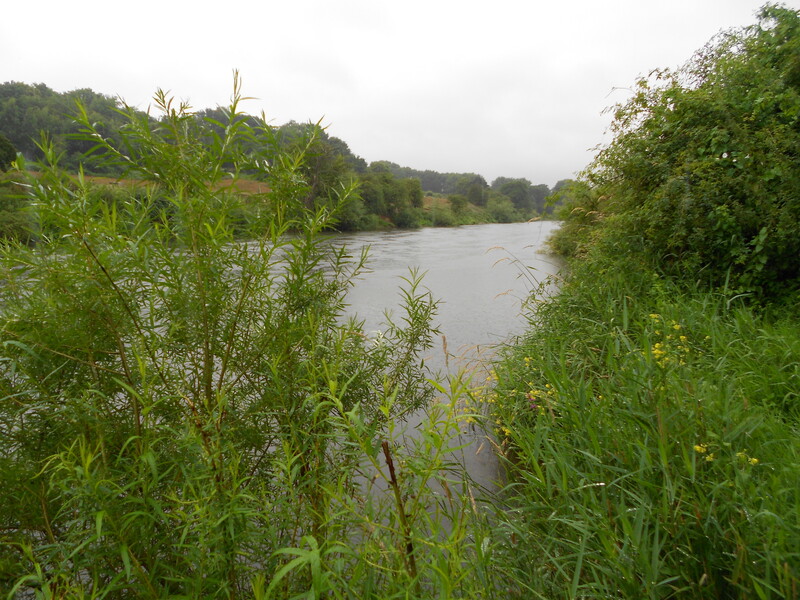 With the Severn running at minimum level, plus throw a bright, sunny day into the equation, I set myself the challenging target of a day-time barbel. Before I progress any further though let me say fish welfare wasn’t being compromised. It is the Severn after all; it’s not like it stagnates leaving barbel gasping for oxygen at the surface. 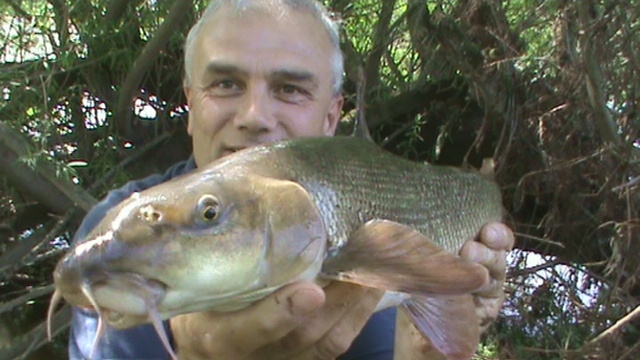 We do need to make sure that barbel are ready to go back before we release them, otherwise they go belly-up and die. That’s true of summer fishing but it’s relevant all-season round really. 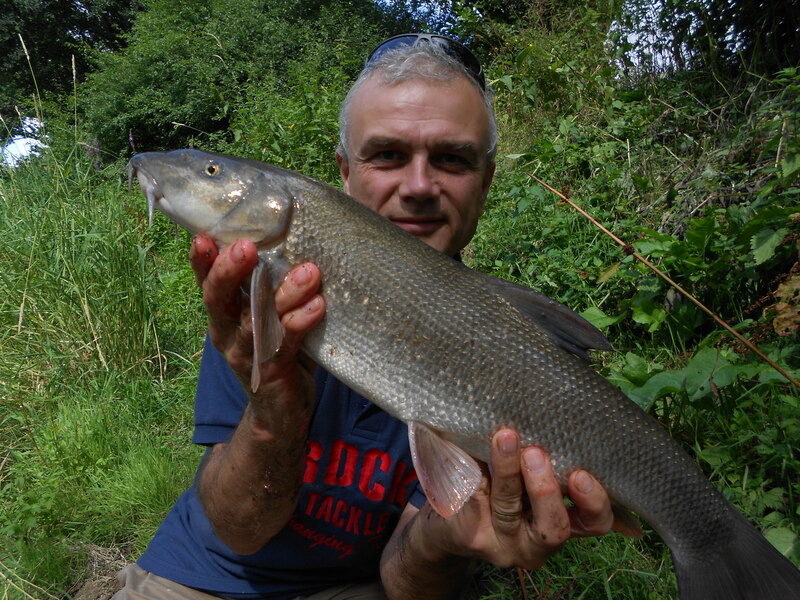 Barbel give so much of themselves in the fight that they often need a period of nursing before they power off again. I set off for the Kinver Freeliners section of the river at Hampton Loade. As well as being for members you can also fish the stretch on a day ticket. You can find their site on the home page of my own website. I set up in a swim with some deeper water in front of me but still with a decent flow. I departed from my usual barbel baits by opting for a worm. In this day and age of manufactured baits the old traditional naturals are often overlooked. And you don’t get more natural than a worm. When I was a kid you’d often see men out digging worms with a fork. They’d be shocked to think that most anglers nowadays can’t be bothered and that they buy them in little clear plastic containers. It was a struggle, as the conditions confirmed, but when the rod pulled round I knew straight away what was on the other end. It’s been ages since I last used worms on a consistent basis for barbel. In fact back to the 1990’s when I used them successfully on Worcestershire’s River Teme. 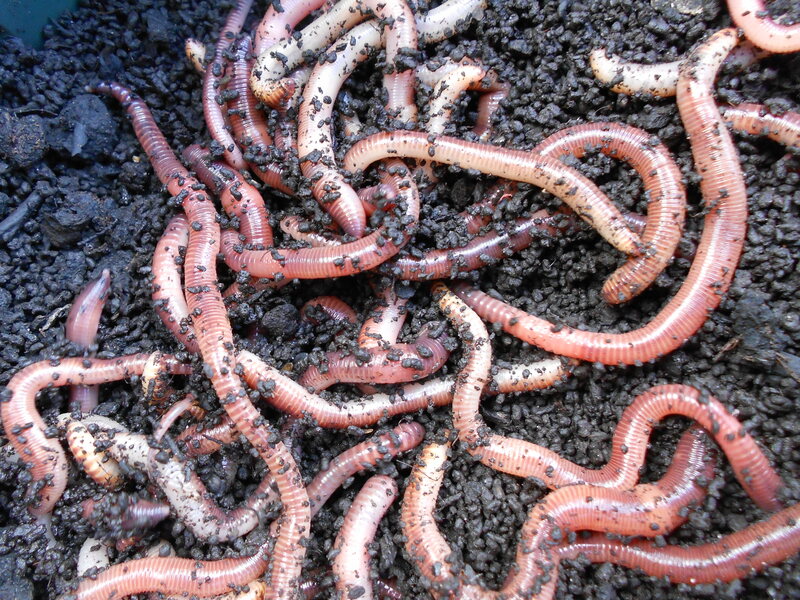 I wouldn’t say throw away your boilies and pellets though, just don’t ignore worms and other baits, that’s all. My next session was back on the same stretch but in a different peg – one I haven’t been in before. There’s nothing wrong with fishing the same spot every time, or at least having favourites, but it’s good to try somewhere new as well. It was another scorching day and I chose a swim with some depth and pace in it. I filmed the session and you can view that in the accompanying video. My first bit of action was from a chub that resulted in a hook-pull. 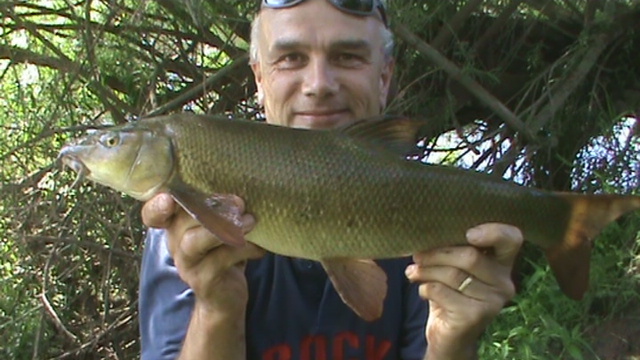 This was soon put right a short time later with a small barbel on the right rod. 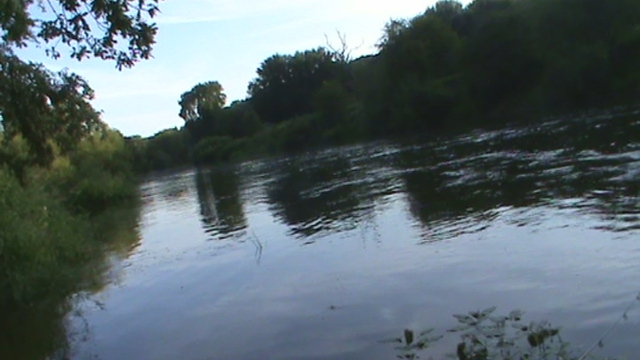 I was fishing both at about one-quarter the way across the river. I certainly felt like a good session was on the cards when not only did I land a second fish, but struck into a third. This one was a better fish and after maybe 90 seconds I started to bring it in. That’s when I encountered my first issue of the day – the reel locked. I bought these Daiwa reels specifically for my barbel angling but they’ve been nothing but trouble. As soon as I am able I’m going to replace them with Shimano – like I have already done for my carp fishing. No camera and rubbish reels, but I had no intention of quitting and going home earlier than planned. I did though, but that was only because my wife texted me to say our granddaughter Nyah was staying overnight with us. I love my fishing and it’s a real passion. It’s not an obsession though and although I do fish a lot it has its proper place in my life. When I’m on my death-bed I want to be surrounded by my family not watching a slideshow of fish I’ve caught over the years. And funnily enough, just as I wrote those words, I heard of the sad news that Dave Wagstaffe had passed away. He was a Wolves player from the 1970’s and I can picture him on the pitch in my mind as if it were yesterday. Although I went to my first Wolves game in 1963, when Stan Cullis was manager, my real memories are from a few years later. Derek Dougan, John Richards, Derek Parkin, Frank Monroe, John McCalle, Phil Parkes, Kenny Hibbitt, and of course, Dave Wagstaffe. Those were the days, my friend.